The 2018 Subaru Crosstrek is expected to be released sometime this summer, 2017. Completely redesigned for the 2018 model year, it's based on the Impreza hatchback structure and is in close competition with other small crossover SUVs. Subaru has given the 2018 Subaru Crosstrek near Lawerence KS an all new overall design, a more powerful engine and updates to technology and safety features. The new platform the Crosstrek rides on is stronger than that of the previous generation. It has 8.7 inches of ground clearance, making it an excellent choice for off-roading activities. At Briggs Subaru, serving Topeka Lawerence Manhattan Kansas, you can find the most ideal Subaru Crosstrek to suit your tastes and needs. This is our 2018 Crosstrek review. Base models of the 2018 Subaru Crosstrek near Lawerence KS include power windows, door locks and mirrors, a 60/40 split rear seat, carpeted floor mats, and a sophisticated anti-theft system through an engine immobilizer, making it nearly impossible for someone to make off with your Crosstrek. Premium-level models include a leather-wrapped shifter and steering wheel, and add on a variety of options, including a moonroof and heated/cooled seats. As for technology options, base level and mid-level models include a 6.5-inch touchscreen and come standard with Apple Car Play and Android Auto for full smartphone integration with your dashboard. Limited-level models of the Crosstrek include a larger touchscreen, at 8 inches. Its SUV-type structure gives the Crosstrek plenty of cargo space. It mimics the cargo space available in the Impreza, which is 20.8 cubic feet behind the rear seat, so the Crosstrek's numbers are expected to be close to that value. The exterior changes to the 2018 Subaru Crosstrek near Lawerence KS were subtle, as it includes standard roof rails, and rides on the Impreza platform with 8.7 inches of ground clearance, an excellent choice for off-roading. The front fascia and fog lights look more exaggerated for 2018 to give the car a more rugged look. It's also styled to look more like an SUV in general, including a higher ride position. 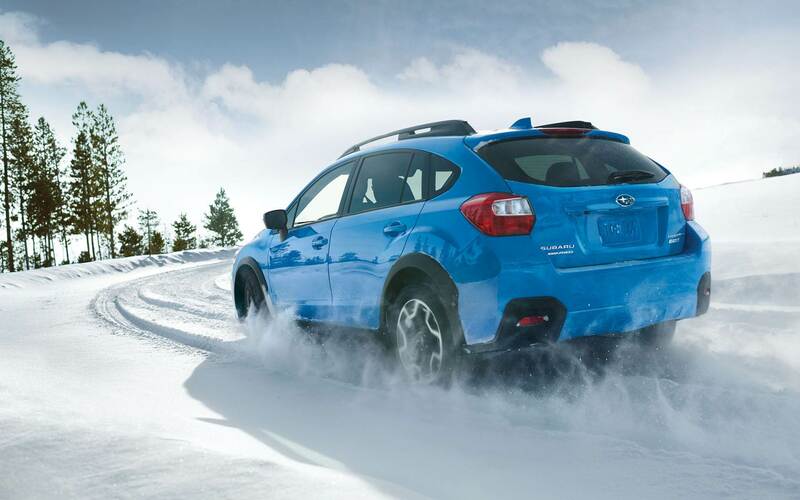 Mechanically, the Crosstrek enjoys a raised suspension for a smoother ride, and of course, it comes standard with full-time all-wheel-drive, for excellent control during inclement weather, great for the rain or the snow. This new model's cornering ability is enhanced as well with its 13.0:1 ratio, an improvement from the previous model's 14.0:1. This manufacturer also offers an optional Active Torque Vectoring system, giving you more control around corners, as it applies light brake pressure to the inside front wheel. Also notable for mechanical features is Subaru's own X-Mode, which increases traction and control through unpredictable road conditions. It works with the all-wheel-drive system to use lower gear ratios to provide extra power to the wheels that have road grip, and it deactivates the transmission's lock-up clutch to better provide power for wheels that are slipping, and it implements hill descent control when you're headed down some steep terrain. The powertrain for the 2018 Subaru Crosstrek features a 2.0L flat-four engine, and Subaru says they've lowered the center of gravity of the car by 0.2 inches, keeping its structure incredibly balanced. It makes 152 horsepower and 145 lb-ft of torque, the same performance ratings as the Impreza. The engine is mated to either a six-speed manual transmission, standard on the base and Premium trim levels, with the automatic CVT available as an option. Higher trim levels, such as the Limited, have the fuel-efficient, carefully engineered CVT as the standard transmission option. All Crosstreks at Briggs Subaru, serving Topeka Lawerence Manhattan Kansas, have a tire pressure monitoring system, which visually alerts the driver about individual wheels' tire pressure, letting the driver know which one needs air the most. 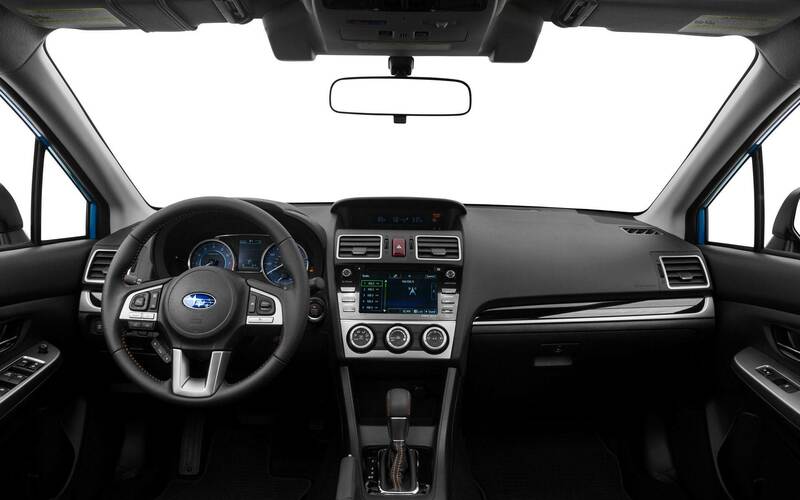 Its collection of safety features, called the EyeSight system, is not standard on all models of the Crosstrek. Customers will have to opt for the Premium trim levels to enjoy the driver-assistance features of the collection as standard equipment. EyeSight includes adaptive cruise control, lane keep assist, automatic forward collision braking, and automatic throttle management. All of these technologies are designed to keep the driver and their passengers safe at all times while on the road and provide visual and/or audible alerts inside the cabin when a threat is detected. The 2018 Subaru Crosstrek achieves the highest safety ratings possible from the IIHS when equipped with EyeSight. The Crosstrek is full of airbags at all possible crash points as well, including a new driver's side knee airbag. 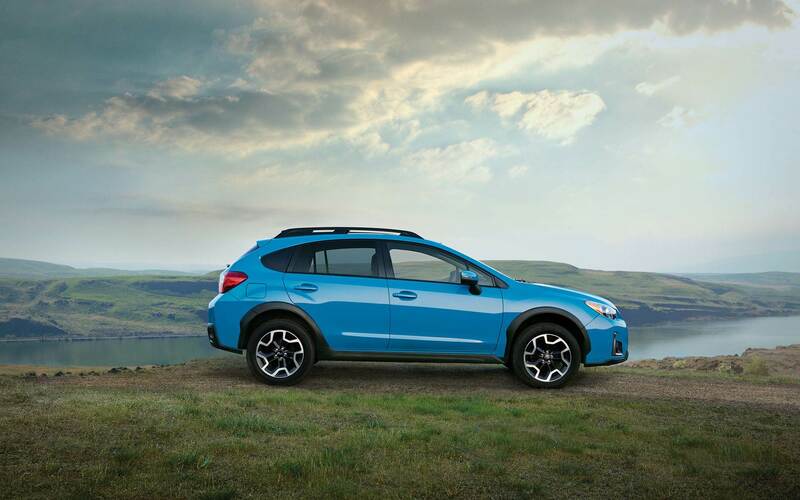 The Limited models of the Crosstrek include a new automatic reverse-braking system as part of the EyeSight package, which applies the brakes while you're backing up if there's an unseen object in the vehicle's path. Contact Briggs Subaru, serving Topeka Lawerence Manhattan Kansas, to schedule a test drive of a brand new 2018 Subaru Crosstrek, and discover how it can suit all your driving needs for your busy lifestyle. Whether you're headed out for an off-road adventure, or you're taking the family on the road for a weekend getaway, as stated in this 2018 Crosstrek review, is sure to deliver the performance, safety, and interior space you need to fuel all your adventures, large and small.